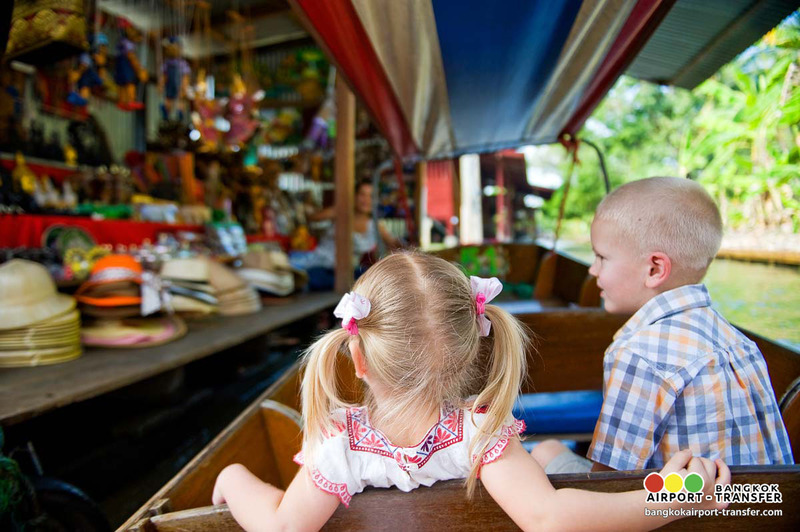 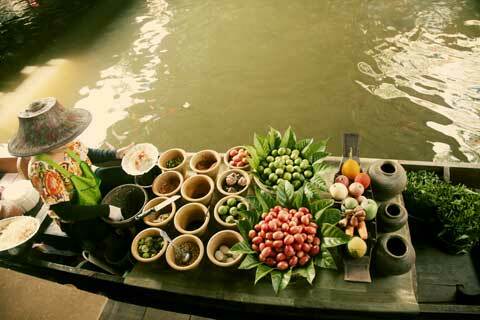 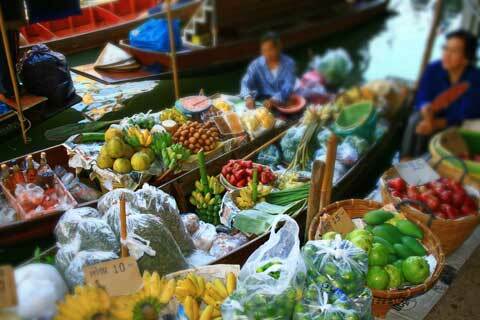 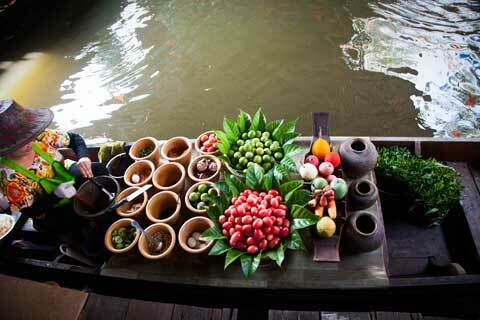 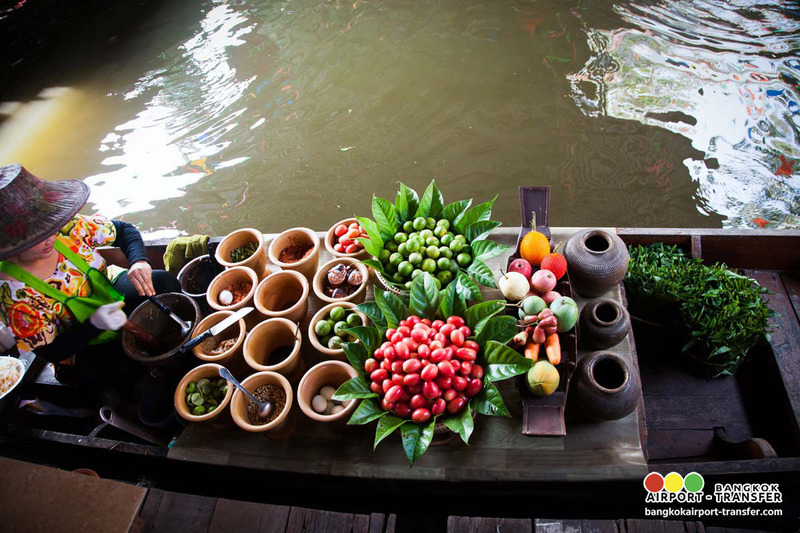 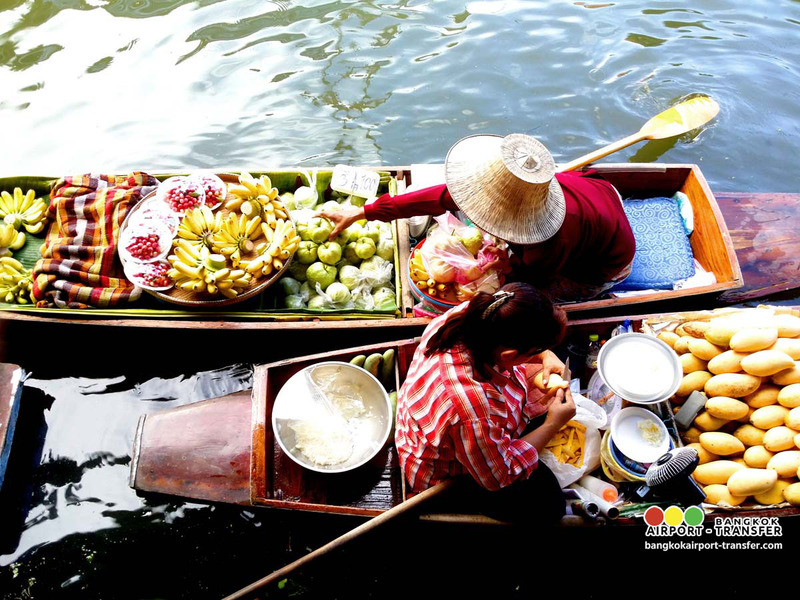 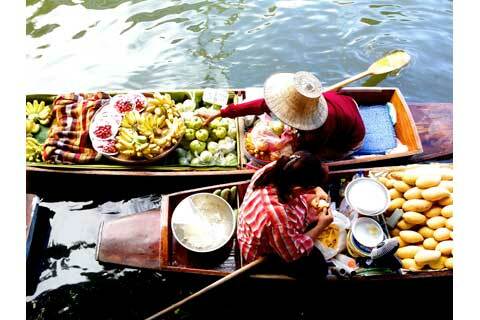 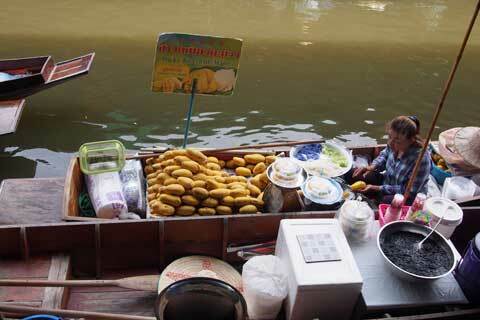 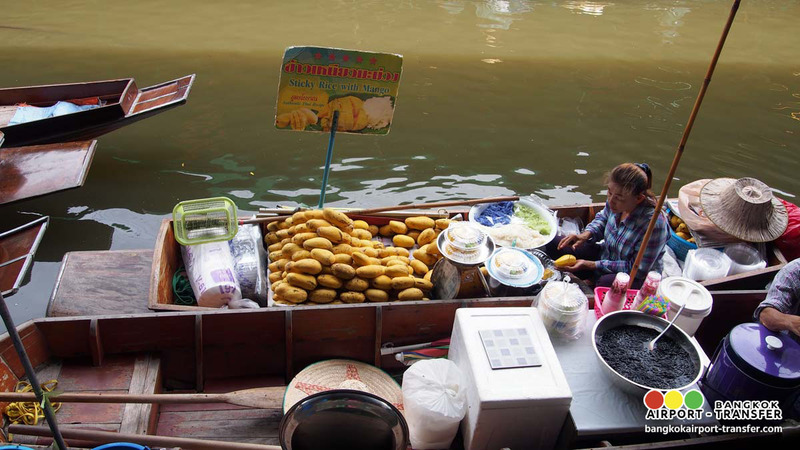 11:00 hrs Depart floating market to visit the wood carving factory. 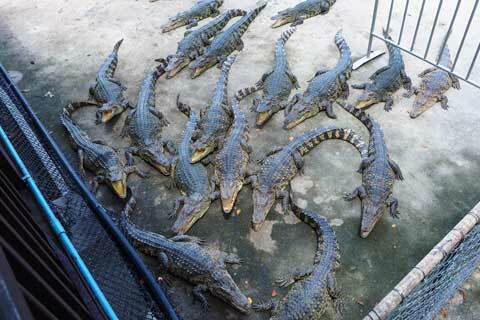 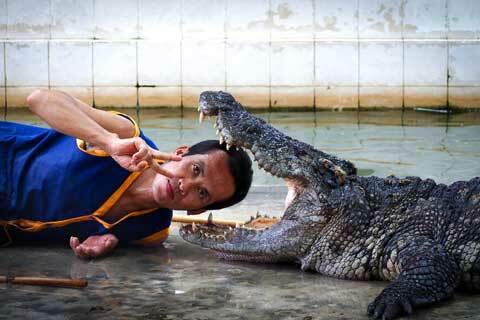 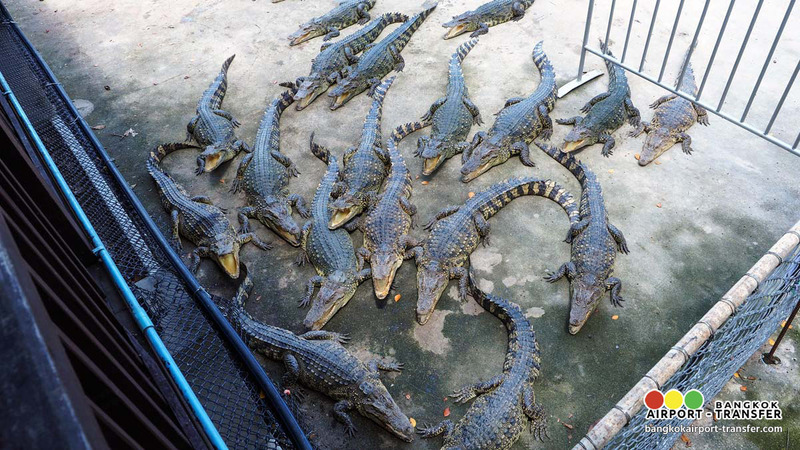 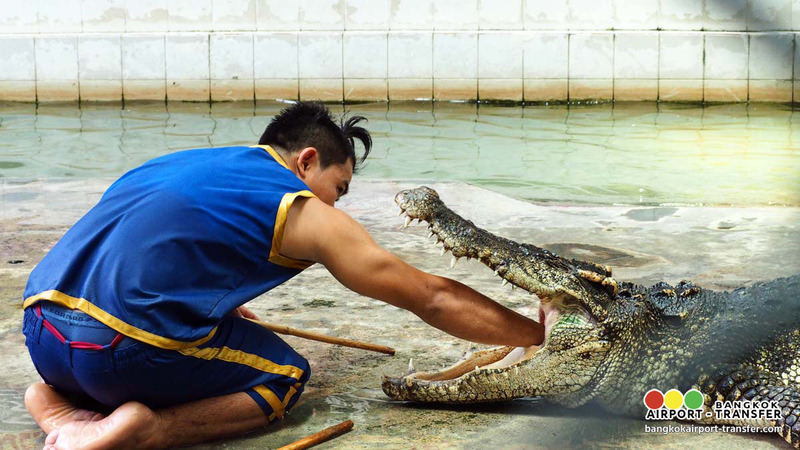 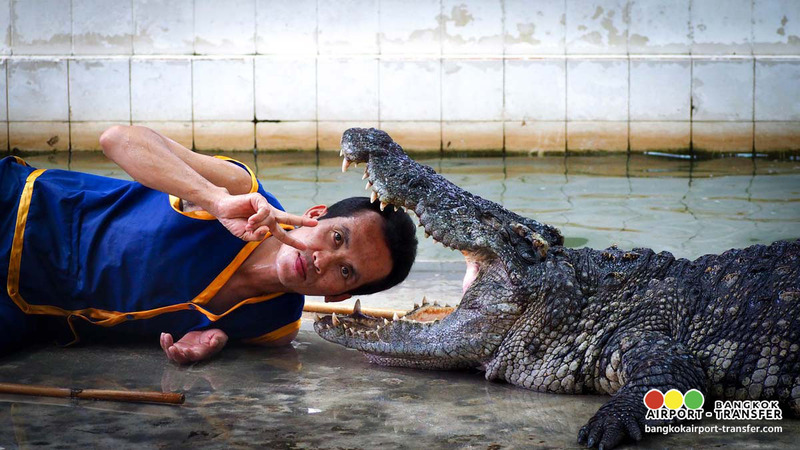 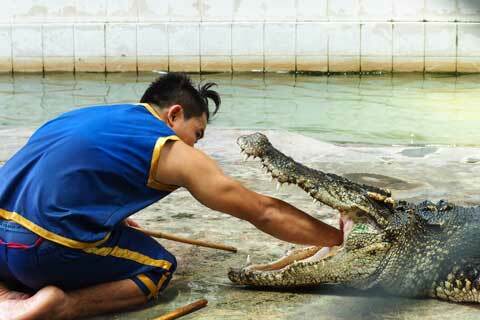 12:00 hrs Buffet lunch at Samphran Crocodile Farm. 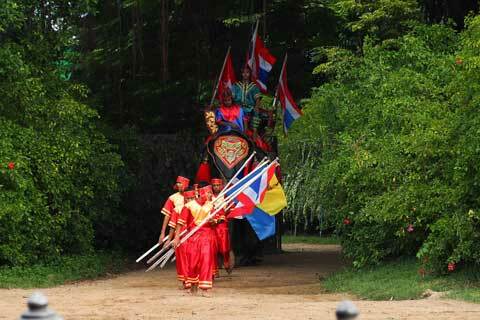 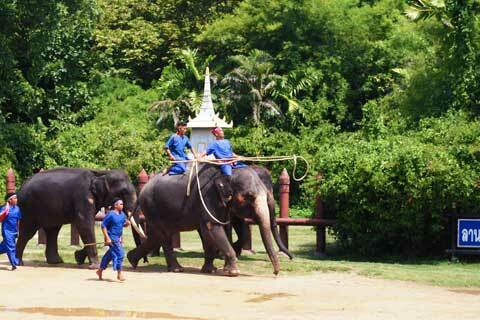 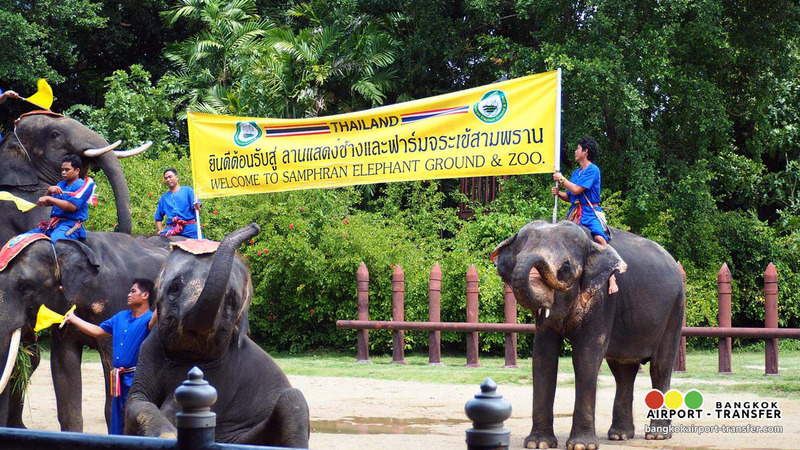 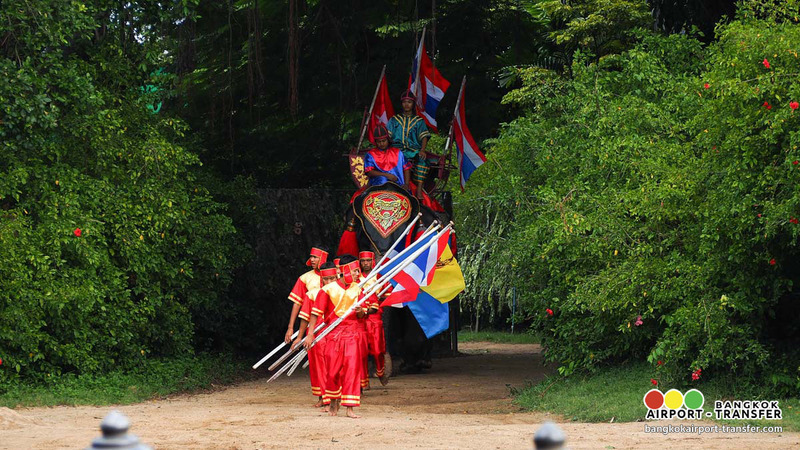 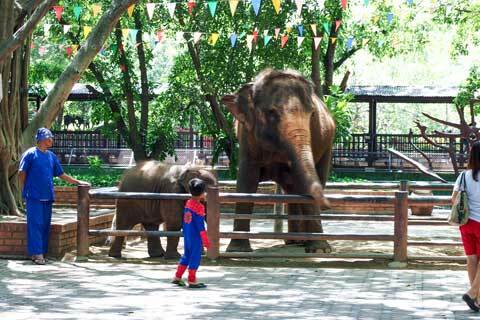 Elephant Theme Show : For the first time ever an elephant show complete with dramatic sounds and narration. 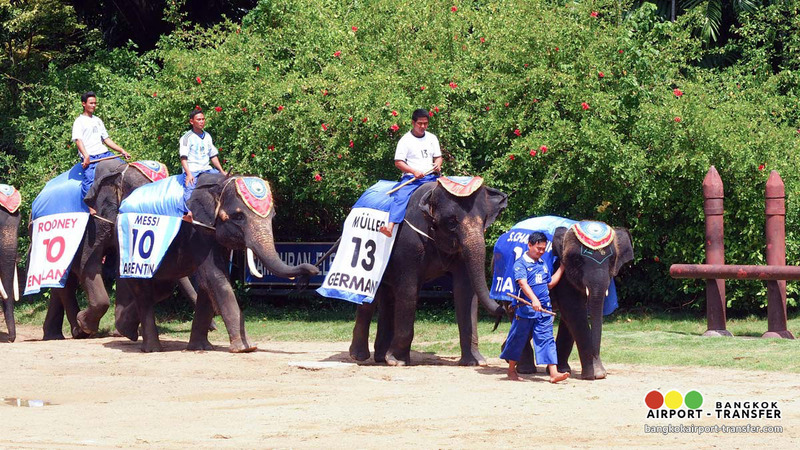 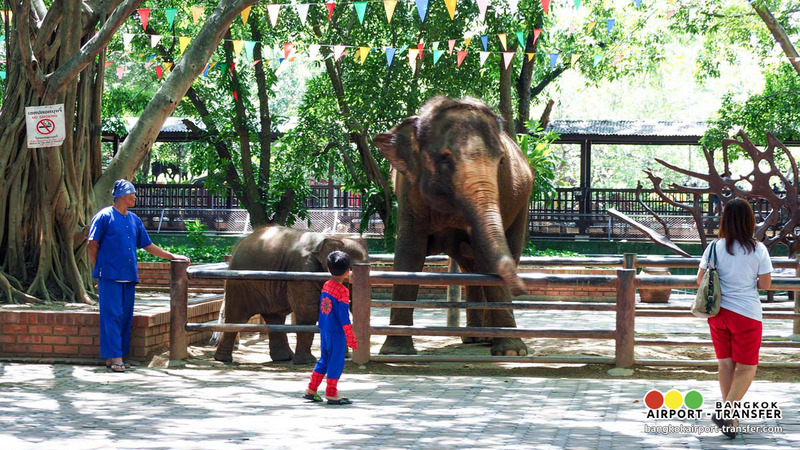 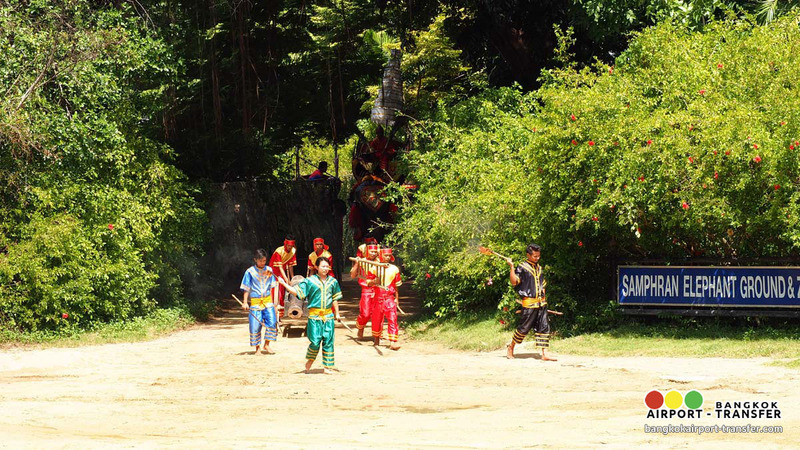 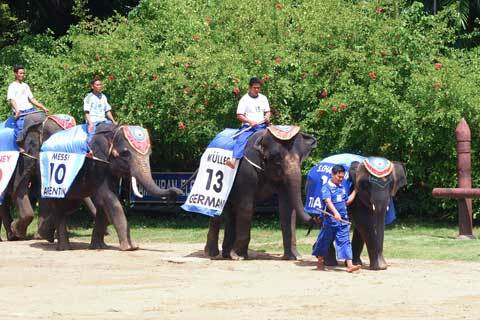 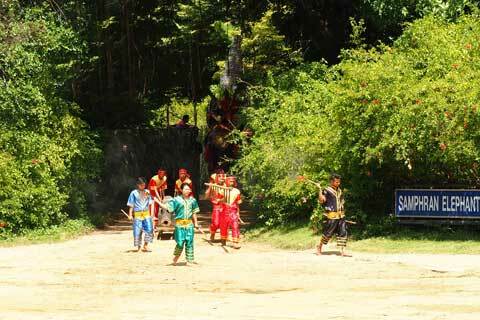 Be entertained by demonstrations of elephants at work, playing football dancing and at play. 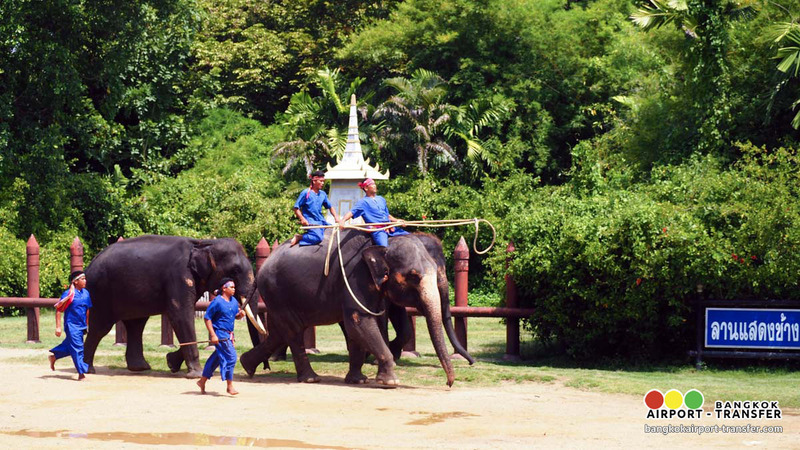 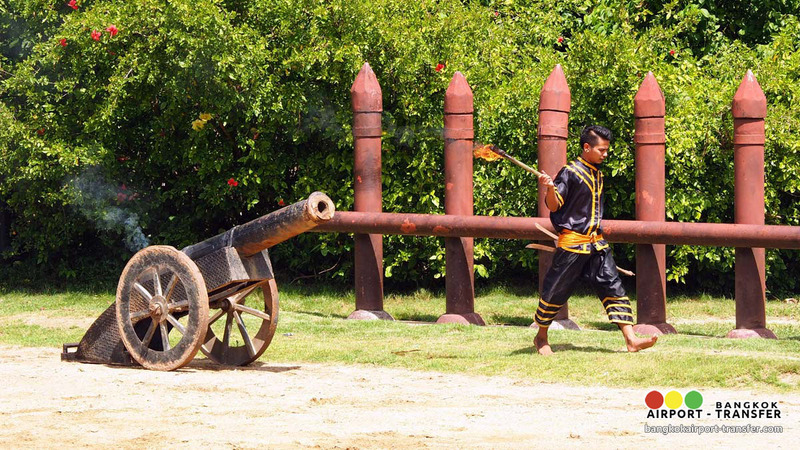 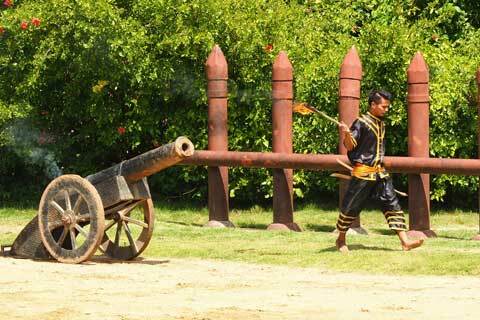 See for yourself how elephants are rounded up and used during battles in ancient Siam, where elephants were once used by Siamese and Burmese armies dressed in full battle gear (Yutha Hathi). 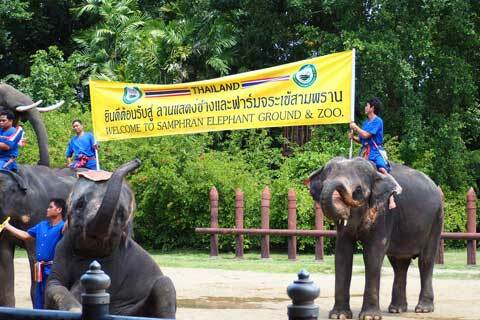 15:00 hrs Depart from Samphran Crocodile Farm to Bangkok.